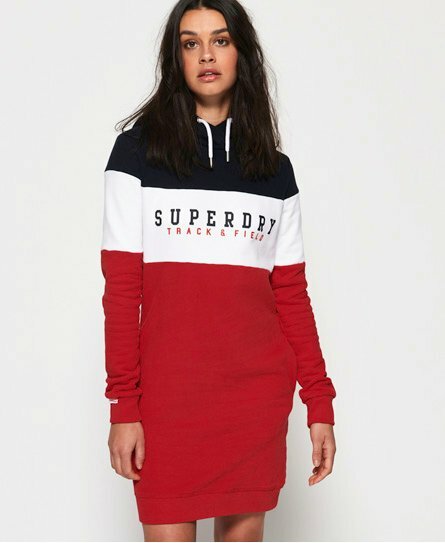 Superdry women's Track& Field sweat dress. Combining style and comfort, this sweat dress is sure to become your new go to dress this season. Featuring a drawstring hood, pockets in the side seams and Track & Field graphic across the chest, this dress is completed with a logo tab on one sleeve. Layer under a denim jacket to complete the look.